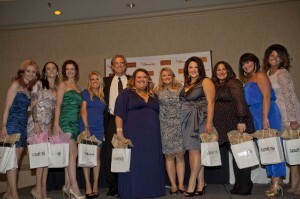 January 28, 2012 (RALEIGH) – Jack and Joelle Ray, owners of Samuel Cole Salon hosted their 5th Annual Holiday Awards Celebration. The red-carpet event took place in downtown Raleigh at the Sheraton. 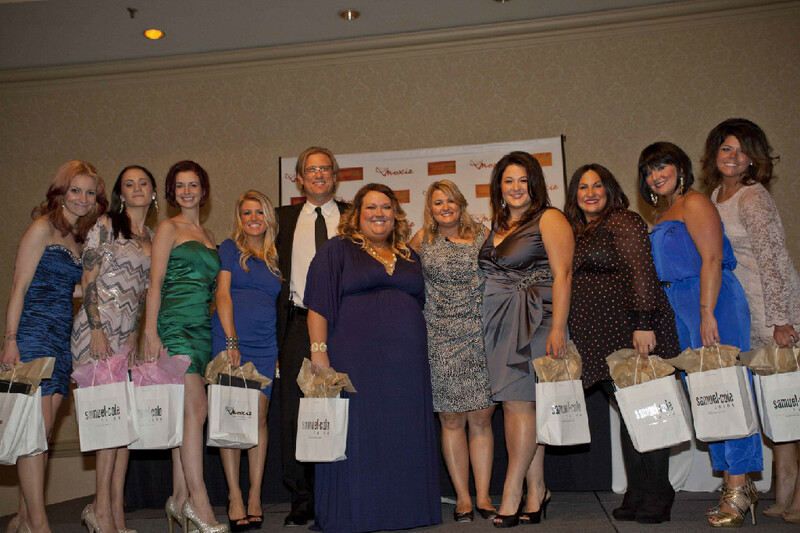 The Ray’s host the event each year to celebrate the accomplishments and success of their salon team. Sara Beard- Stylist of the Year & Client Educator of the Year. Carolyn Nord- Runner Up Stylist of the Year & Runner Up Client Educator of the Year. The Rays recognized the dedication and excellence of their Guest Services team, Heather Densford, Amanda Crane, Stephanie Tate and Ashley Orr. The Ray’s also thanked their management team for their outstanding performance and commitment. 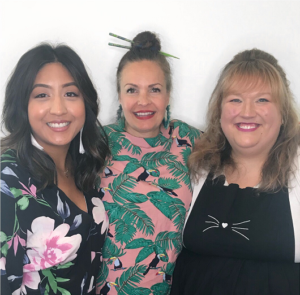 Joelle Ray along with stylist, Sara Beard, hosted the popular award’s night segment – The “Bob’ies” – which featured a tribute to each team member. “I love our annual awards party. We have such an amazingly talented, hardworking group at the salon. Each person contributes so much to the overall success of the salon. It is fun to hang out with everyone and simple say “thank you” for another terrific year,” said Joelle. October 15-17, 2011 (NEW YORK CITY, NY) – Intercoiffure’s 2011 Fall Atelier featured legendary hair stylist, Oribe Canales. To assist him in bringing his vision to the stage, he enlisted the help of Jack and Joelle Ray, owners of Samuel Cole Salon. The Rays spent tireless hours styling hair for all of the models for an incredible segment that Oribe designed. His vision was inspired by statues in an abandon train station in Prague, the French song “Gigi Amarousa”, and a painting by Oribe himself. The Rays got to immerse themselves in the true artistry of editorial hair design. The event was a huge success and was attended by Sarah Jessica Parker, who presented “The Visionaire Award” to Oribe. The Rays we also officially inducted (“pinned”) into the prestigious Intercoiffure. “The Ray’s are a unique, creative team that understand style and possess great technical ability. They have assisted Oribe on multiple occasions. The Ray’s are currently members of Oribe hair care’s advanced technical team,” said Daniel Kaner, President of Oribe Hair Care. January 2011 (RALEIGH, NC) – Samuel Cole Salon was once again named one of the top 200 salons in North America by Salon Today magazine in four categories – Growth, Compensation/Benefits, Retention/Referral Programs, and Retail/Merchandising. This exclusive list is published annually and selects salons based on their best business practices and salon growth. 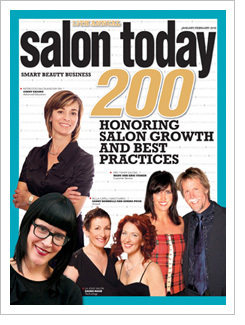 “The Salon Today Top 200 celebrates the best of the best in our business. We are thrilled and honored to be recognized again this year,” commented Joelle Ray, co-owner of Samuel Cole Salon and Salon Moxie with her husband, Jack Ray.